BMAA, or beta-N-methylamino-L-alanine, is a potent neurotoxin linked to the development of neurodegenerative diseases such as amyotrophic lateral sclerosis (ALS, often referred to as Lou Gehrig’s disease), Alzheimer’s, and Parkinson’s. Produced by virtually every known species of cyanobacteria, BMAA increases in concentration as it moves up the food chain—a process known as biomagnification or bioaccumulation—in both aquatic and terrestrial ecosystems. For example, results from a study performed in a temperate aquatic ecosystem (the Baltic Sea) show that BMAA is transferred from cyanobacteria to zooplankton, thus accumulating in a variety of invertebrate (mussels, oysters) and vertebrate (fish) species, leading to potential human exposure. The authors of the study conclude that “The discovery of regular biosynthesis of the neurotoxin BMAA in a large temperate aquatic ecosystem combined with its possible transfer and bioaccumulation within major food webs, some ending in human consumption, is alarming and requires attention.” Indeed, in 2012, a study found that shark fins are loaded with BMAA—shark fins and shark fin soups are considered a delicacy in Asia. BMAA accumulation—and subsequent human exposure—was first discovered on the island of Guam in the Western Pacific Ocean, where the indigenous people were known to be at very high risk for developing ALS-Parkinsonism/dementia complex (ALS-PDC). In this case (a terrestrial ecosystem), BMAA was produced by cyanobacteria present in the coralloid roots of a Cycad and then transferred into its seeds. Fruit bats ate the seeds and bioaccumulated BMAA. The Guam’s indigenous people were exposed to the toxin when eating the fruit bats. BMAA was later identified in the brain tissues from the frontal cortex of six Guam indigenous people who died from ALS-PDC, and in brain tissues from the frontal cortex of two patients from Canada who died from Alzheimer’s disease, but not in the brain of people with no neurodegenerative disease. Cyanobacteria are present worldwide, often growing in aquatic ecosystems as harmful algal blooms associated with high nutrient content deriving from urban, agricultural, and industrial sources. Climate change may influence the abundance and distribution of cyanobacteria, which grow better at higher temperatures. This results in a competitive advantage for cyanobacteria over other phytoplankton species at temperatures exceeding 25°C—thus, BMAA may pose an increasing significant risk to human populations at a global level, not only due to nutrient enrichment of aquatic environments due to human activities, but also due to higher temperatures. To make matters worse, new results show that cyanobacteria are not the only organisms producing BMAA—diatoms do the same. Because diatoms form the base of aquatic food webs in marine and freshwater habitats globally, they might have a substantial impact on the overall abundance of the toxin in aquatic environments. There are sufficient elements in the BMAA saga to call for serious monitoring of the ecological spread of this toxin, starting with aquatic ecosystems and moving on to the organisms—many with high commercial value—where BMAA bioaccumulates. This entry was posted in Ecology, Health & Ecological Risk Assessment, Toxicology and tagged algal bloom, ALS, Alzheimer’s, bioaccumulation, climate change, cyanobacteria, Lou Gehrig's, neurodegenerative disease, neurotoxin, Parkinson’s on May 16, 2014 by Integrated Environmental Assessment and Management. BMAA has been identified as synergistically potentiating methylmercury neurotoxicity and reduction of glutathione. Almost all bones have increased lead levels 100 to 1000 x’s levels that prehistoric bones contained. They all reduce glutathione, reducing the ability of organisms to defend from uptake of other toxicants, particularly toxic metals. Harmful algal bloom environments (e.g. lakes with frequent blooms) may be particularly problematic for neuropathogenic potential, especially given the accumulative nature of these toxicant mixtures, and the physiologic pathways are often in common. Lake water may not even have to become health advisory ‘HAB’s level designated’ to be neuropathogenic. Drinking the water, eating fish, showering, and perhaps just breathing the dockside air may be a chronic low dose accumulative adverse risk scenario. Aquatic contaminant monitoring SAVES money, health, and lives. Very little adequate monitoring is done because aquatic environmental pointedly-investigative sampling is most often seen by the politic as being inherently politically subversive so funding prioritization is supressed by the legislatures, and state agencies are biased to avoid monitoring for fear of reprisals from the legislatures, a sad public health paradigm to hand our great grandchildren. 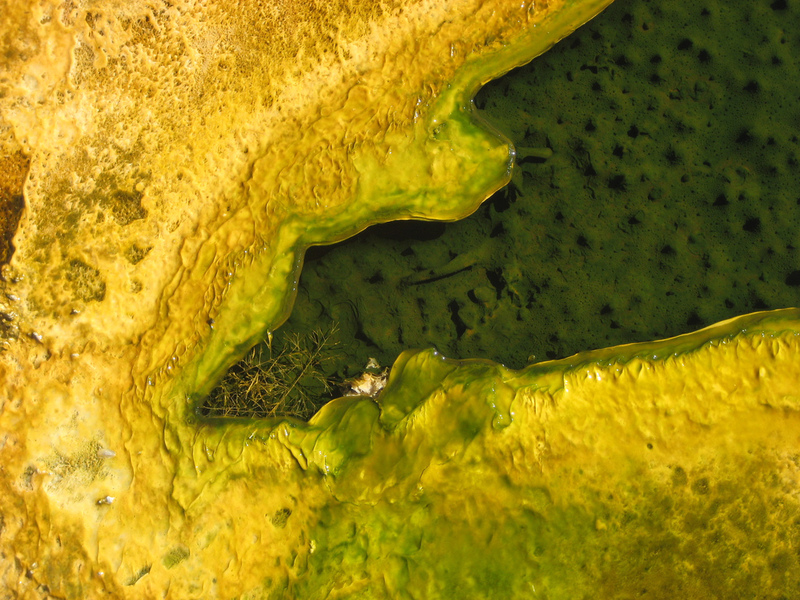 The blog editor has left out the severe doubts that have been raised against the “all cyanobacteria produce BMAA” hypothesis. Several authors could not reproduce the earlier findings and there are many issues with the published studies. These have been summarized in a critical review that has been published recently in the open access journal Toxins (http://www.mdpi.com/2072-6651/6/3/1109). The BMAA-in-aquatic-systems hype lacks the firm fundaments for making alarming calls. First step should be determining who/what actually is producing BMAA, and if so in what concentrations, using appropriate analytical methods. Yes, it’s is very early in the assessment of associative to causative possibilities. Much more work is needed, and since there is a very high variability of toxin production in a given species, temporal and spatial determinations on a repeated basis will be necessary. HABs toxins in general have high, poorly understood, inducement to produce adverse effects. Enough has been done to indicate a strong need for more investigation. The possibility that diatoms, could at times, produce BMAA, also needs inclusion into the assessments. It would seem that a drinking water source choice should still take a precautionary stance where relatively easily adopted, given just the information to date. And drinking water systems subject to cyanobacterial (and diatom) occurrance, should gain better sampling and analysis capabilities… and use them proactively. New research has just demonstrated the first animal model that produced neuro tangles with exposure to a specific toxin BMAA. If confirmed by followup research, this has many implication potentials for widespread exposures, and also potentially indicating possible new avenues for some neurologic disease treatments. This work further suggests that people with some neurologic diseases might start avoiding some high risk exposure potentials for BMAA toxin while more research is done.